Hello Beauties! I hope you're all well and enjoying your week! This week is my first week in my new job so I'm still fairly busy settling in and learning everyones names, etc but so far I'm really loving it! With all of these changes going on in my life at the moment my skin has also been messing me around which has prompted me to try out some new skincare items. I've never been much of a skincare snob, only purchasing one or two high end items, so when I saw that the nspa skincare range was available in Asda at great prices, I decided to test some out. 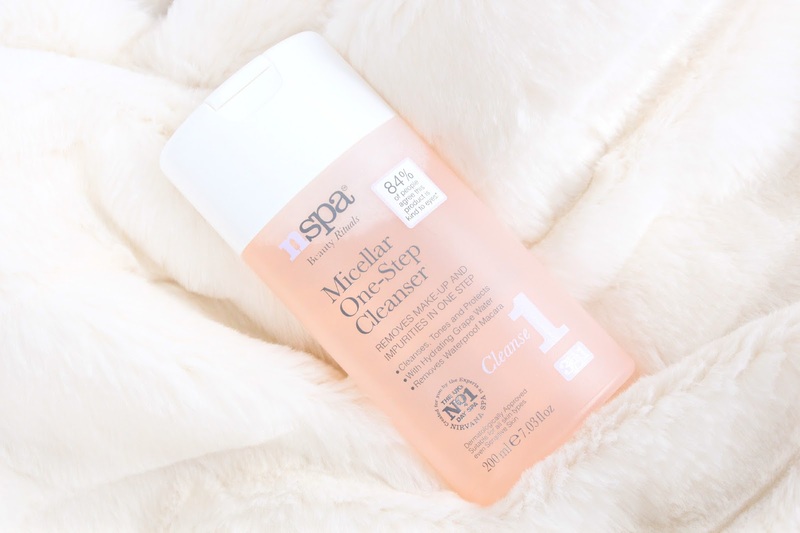 The first product I've been using from nspa is the Cleansing Micellar Water. I'm a big fan of micellar waters for removing my makeup prior to cleansing, and this one struck me as interesting as its supposedly a more hydrating formula than your standard micellar waters. Although my skin is acne prone and oily, it's also dehydrated. I often find that micellar waters leave my skin feeling quite tight, probably due to the toning aspect of most similar products, so I was interested to see whether this one would be better for my skin, and amazingly it was. I found that this removed my makeup quickly and easily, was really gentle on my eye area and left my skin feeling fresh and soft without the horrible tight/dry feeling that I've become used to. The micellar water is enriched with grape water, willow extract, ginseng and vitamin e which all help contribute to it's soothing and moisturising nature. If you find that regular micellar waters leave your skin feeling tight, sticky or red then you may want to give this one a whirl. Now that the weather has been getting hotter and I've been spending more days foundation free, I wanted a moisturiser which contained SPF and gave my skin more of a healthy glow than what I had previously been using. The nspa Brightening Day Cream seemed perfect for this purpose as it contains SPF 15 to protect my skin, claims to brighten your skin giving you a more fresh-faced and youthful look, and it's also a light formula which is something I always look for in day creams. The cream is a light milky white lotion which sinks into your skin quickly and effortlessly and actually leaves your skin glowing. I've tried my fair share of brightening products in the past which have done nothing for my skin, so I was happy to see that this actually did deliver on the brightening front and helped to disguise the one-too-many late nights I've been having recently. This was actually also surprisingly good for my dehydrated skin too, I do still use my hydrating treatments once a week but for the days when I just don't have time this is perfectly fine and also didn't upset my skin and make it oilier which is a common problem which I face. Lastly, I've also been trying out the nspa Instant Blur Primer. 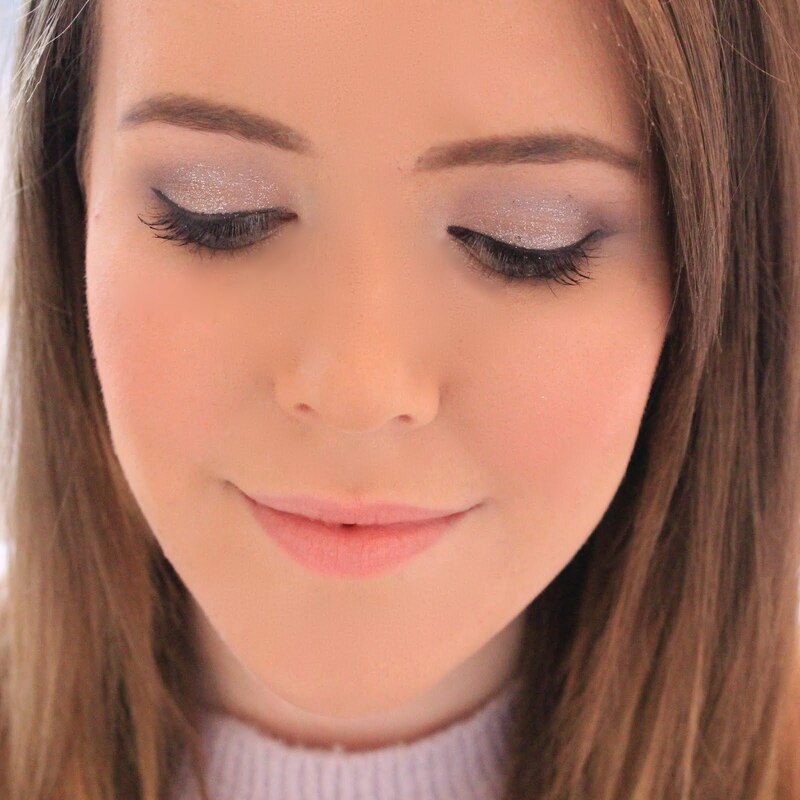 I love blur primers and anything which claims to 'fill in' my extremely large pores, so I couldn't not try this one out and see how it compared to my higher end primers. The nspa Instant Blur Primer aims to instantly improve skin tone, reduce the look of fine lines and pores, and also create an even base for makeup...so everything you'd expect from this kind of primer. I found the primer really quite difficult to squeeze out of the tube (that might just be me though, being the weakling that I am) but other than that, I really can't fault this primer. It filled in my pores just as well as the Benefit Porefessional did, except this one felt lighter on the skin which I much prefer and it also created a smooth canvas for my foundation, making my makeup look a lot more 'professional' if you know what I mean. Overall, I'm extremely impressed with everything I've tried from nspa. I don't do my food shopping in Asda as Sainsburys is closer to me, however I may have to brave the extra walk to my nearest Asda to stock up on some more nspa products...or maybe I'll just order online. The products mentioned in this post range from as little as £2 up to a mere £7 which I think is fantastic value for these products as they performed just as well as their higher end alternatives. 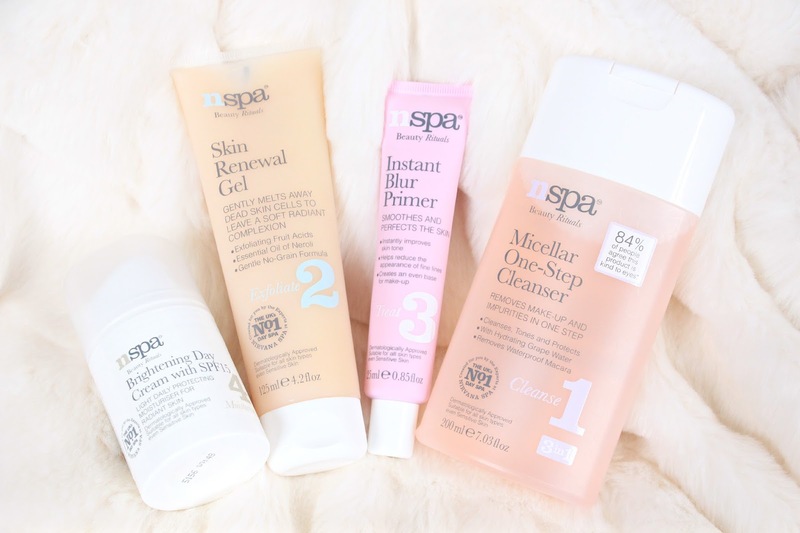 So if you're on a budget or just don't fancy spending a small fortune on your skincare, then I would definitely recommend checking out the nspa products. I love NSPA products - I think my favourite was their Gingerbread Latte bubble bath, I would smell it every time I was in the bathroom. I never knew they did face products this is something I need to check out next time I'm in asda as I think they are a hidden gem in the supermarket skincare world! I am so glad you are loving your new job so far! I hope things continue to go well. These products look absolutely wonderful. I have actually never heard of this brand before! I've never tried a product from nspa, but I'm curious about the mask! I wish you every success in your new job! I've only tried a couple of NSPA products, but nothing from their skincare range. I'll be looking out to buying a few skincare items when I've run out of my current products! Thanks for the reviews, I've been looking for a good primer and this sounds awesome. Asda here I come! I've never tried NSPA products before, I don't think I've even heard of them. The micellar water sounds really good though, I use the Garnier one currently and like you, have dehydrated skin so one which doesn't leave my skin feeling tight would be a nice change. I'll definitely be browsing the next time I'm in Asda! Wow these looks like fab expensive products was shocked to see they are from Asda :o would be fab little presents. I've never heard of Nspa before but the packaging has caught my attention. It's so simple and light. Plus I can not resist micellar water, I love that stuff. So the cleanser might be a future try for me. Thanks for the review!